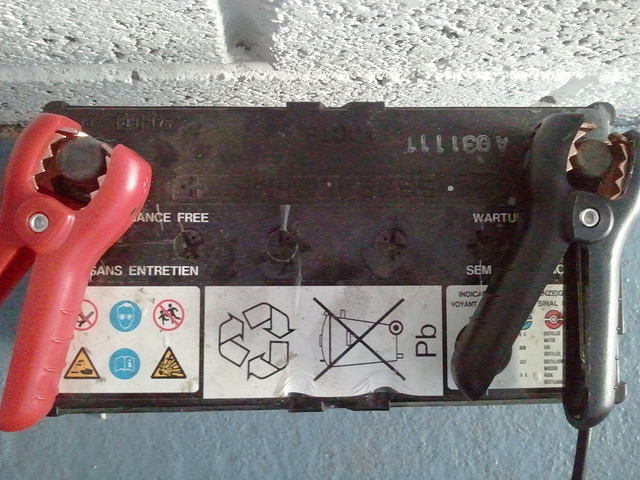 Batteries - one for the electric grid, one for cars. one for the electric grid, one for cars. We mostly think of batteries in terms of gadgets like phones and laptops. Although we’d all love lighter weight, higher capacity, and faster charging for our gadgets, progress for this type of battery has for the most part already made huge strides. The modern battery is largely keeping pace with our needs. But two other big potential users of batteries—the electric grid and automobiles—haven’t really found the better technology they need. Based on a panel discussion at this year’s meeting of the American Association for the Advancement of Science, that’s more of a challenge than it sounds, since the two battery uses need very different things. The grid perspective was handled by Haresh Kamath of the Electric Power Research Institute. He began his talk by noting that the whole purpose of the grid is to let you disconnect the generation of power from its use in space, letting people take advantage of efficiencies of scale and location. Energy storage does the same thing but across time, allowing power to be generated when it’s cheapest and then used as needed. So far, however, storage has meant pumped hydropower or compressed air, both of which require specific geologies to make sense. On the other hand, batteries can go pretty much anywhere and perform a variety of functions beyond simply holding onto electricity for future use. They can help regulate the grid’s frequency, and their distributed nature can help with stability in cases of equipment failure. But since the grid hasn’t historically had much storage, these factors are treated as intangibles and priced accordingly. That situation is starting to change as a regulatory structure is put in place and states begin to consider mandating a certain level of utility-grade storage. Notably, California now has a mandate for 1.3GW·h of storage. The challenge will be that very few of the battery technologies available in mass quantities offer what the utilities need: “Utilities want 15-20 year life spans and minimal maintenance,” Kamath said. And they have to deliver that at a price of about $500 per kilowatt-hour (kW·h) to make economic sense. This only works if the intangibles Kamath mentioned are actually given a price. Lithium batteries are only getting close to being there price wise, but they don’t offer the durability the utilities need. What lithium batteries do have is a relatively low weight for the energy they store, which fits the needs of a different market—cars. GM’s director of fuel cell research, Mark Mathias, was in attendance to speak for the automakers. His field might seem like an odd match for batteries, but it’s more relevant than you might think. “In our mind, fuel cell vehicles are electric vehicles,” Matthias said. “In this case, you’re just making the electricity on the vehicle.” And if you’re making an electric vehicle, you have to decide when it makes sense to generate that electricity, or when it’s better to store it. In some ways, Mathias suggested, current lithium batteries are doing pretty well. He noted that plug-in hybrids are already ahead of where the Prius was at this point in its history, and he referred to the “surprise” of what Tesla could accomplish at the high end.